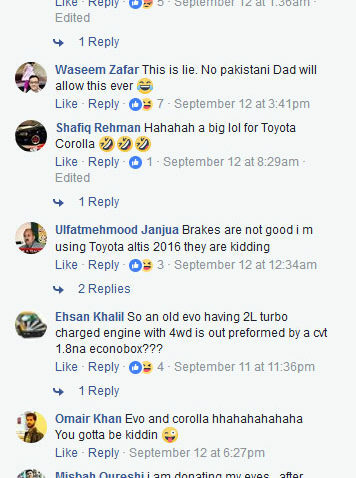 Indus Motors Company (IMC) recently launched a series of ads on social media highlighting various features of their flagship Toyota Corolla Altis Grande sedan. While the idea was okay, the execution of the said adverts is hilarious to say the least. 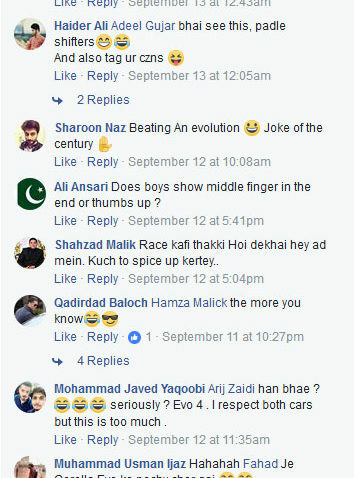 The ads were executed in an amateur manner and lacked production value, something that should have been considered portraying the top-of-the-line variant of the most popular sedan in Pakistan. 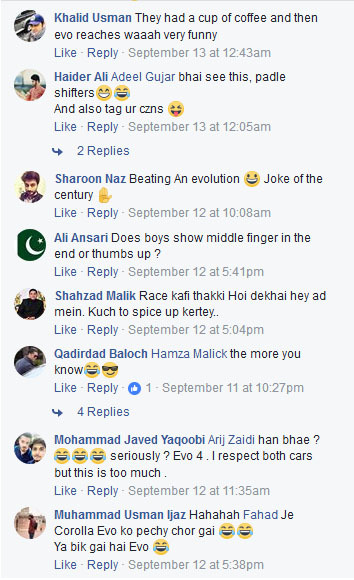 One of the ads is captioned “Boys will be Boys” and it’s the one that tops the list of non-professionalism and conveyed a rather irresponsible message to the audience. 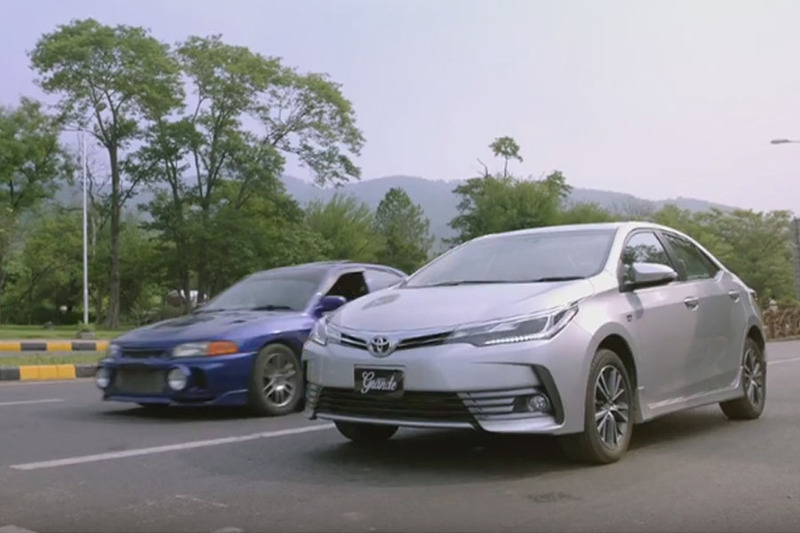 The film opens with an Altis Grande standing on a signal with a father and son (driving) and is soon accompanied by a Mitsubishi Lancer Evo IV. The guys in the Evo challenges the Altis Grande and they are engaged in a race as soon as the signal goes green. 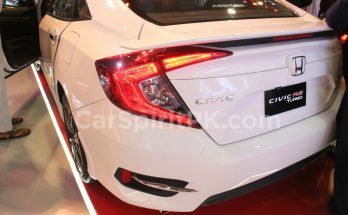 And something that was hard to digest happened, not only that the Altis beat the Evo, the latter slips on a wet bend while Altis due to its VSC system cornered perfectly. The Evo catches the father and son when they already had their refreshment towards the end of the commercial. There are several reasons for which the ad is being bashed on social media, and rightly so. 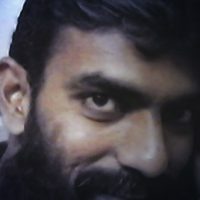 First, the selection of the opponent vehicle was incorrect. 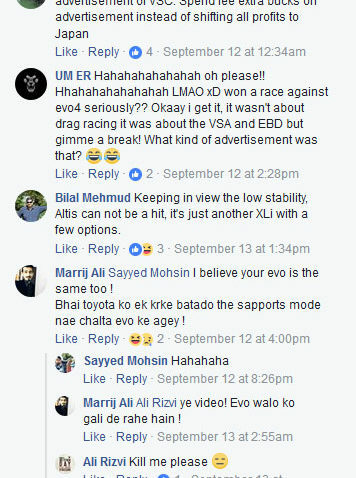 I don’t know what IMC was trying to prove showing a 2017 Corolla racing with a 20 year old Mitsubishi. Secondly, that’s no ordinary Mitsubishi, it’s an Evo IV. 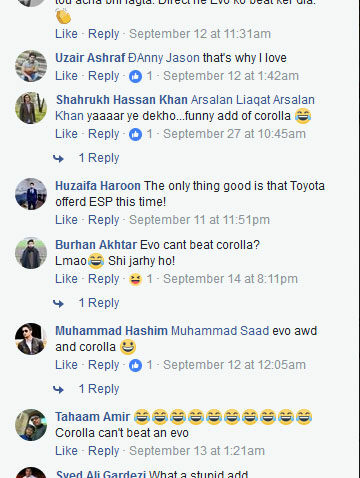 With a 2.0 liter 280hp turbocharged engine under the hood and 4WD, the car is known as one of the fastest road going cars and it’s hard to digest how a Corolla 1.8 which is substantially raised by IMC to provide ample ground clearance, while running on standard tires is able to outperform a car with rallying heritage. 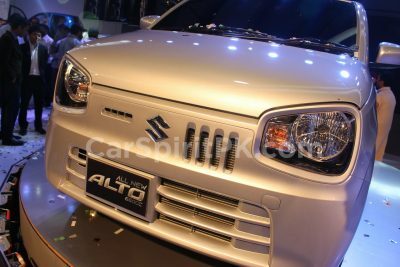 The EVO IV saw the first version of Mitsubishi’s Active Yaw Control (AYC) which only acted on the rear differential and allowed the torque output to be altered from left to right depending on the attitude of the car. 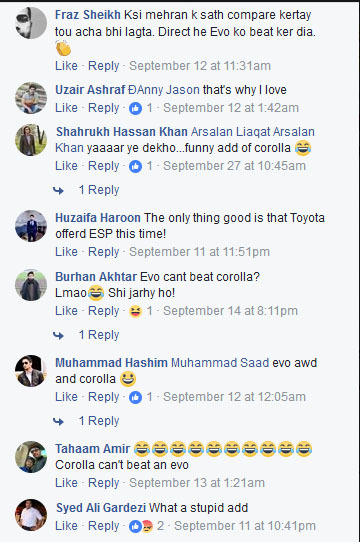 It would have made more sense if they have used their own 9th generation Corolla instead of the Evo, since the 9th gen was best known for its instability and unpredictable braking capabilities. 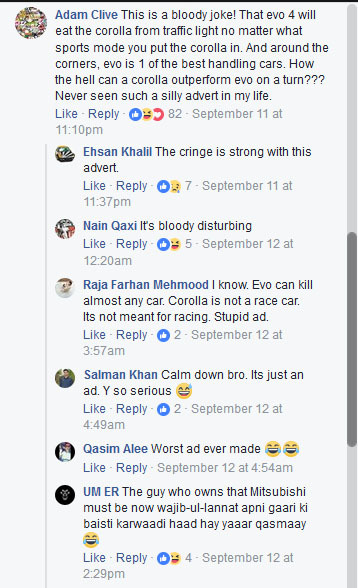 The most undesirable aspect of the ad was that it promotes street racing. You don’t really want IMC to tell us that the Grande is meant for racing with street boys on public roads. 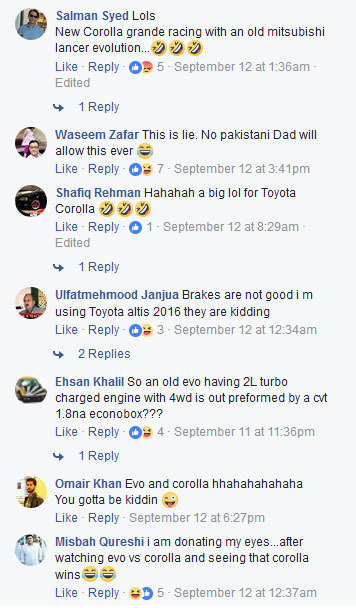 That is something very unprofessional on part of Indus Motors. 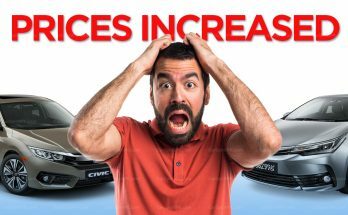 The 2017 Altis Grande facelift comes with Paddle Shifters, 7-speed CVT-i Transmission, Sequential Shifting and a Sport Mode that simply alters CVT-i control for a more responsive and direct feel. 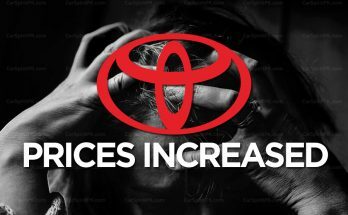 It’s not the Sport mode of a Lamborghini that adjust the suspension, throttle and steering response when activated so please BE ADVISED that the 1.8 liter Altis is NOT a sports car. There are better and more responsible ways of showing these features, which I strongly believe should have been considered by IMC. Perhaps show the VSC to avoid fatal collision in a rainy condition, or using the Sport mode to reach somewhere in an emergency situation etc. 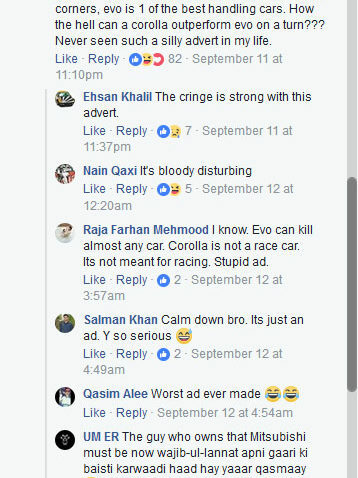 IMC being a leading auto company in Pakistan representing one of the largest global brands should have acted much more responsibly in delivering the message rather than promoting illegal racing. 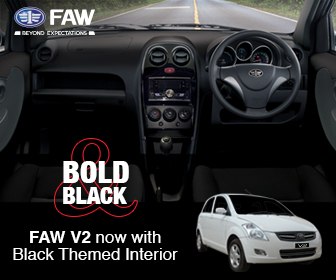 What is your opinion regarding this advert? Let us know with your comments. 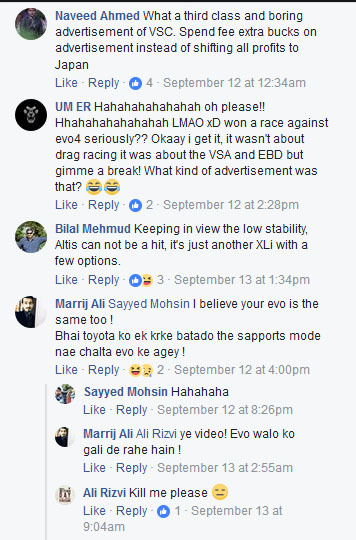 Meanwhile have a look at the feedback IMC received on their Facebook page. 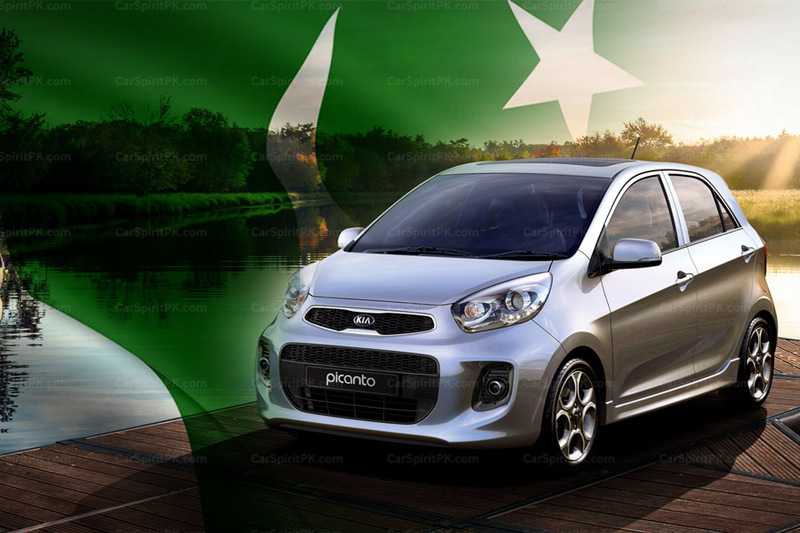 Next Article Datsun in Pakistan- What to Expect?